turn's out even though your now detected on caps 90% of the time by radar and BB's hitting so much easier that now dd's have to stop using the good gear or they just bleed silver. did dd's do something bad for so many things to be going against them now? I dunno, when I can manage to cap, in matches with radar, in my Khab.... it kinda pokes a hole in your 90% point. At higher tiers, rushing the cap can be a bad idea, and going deep into the cap is nearly suicidal early in the match. Laying smoke right off is a bad idea, too, because that tells the other team something worth radar is there. Hold off a bit, see if the red DD's try to cap, and then enter, stalling them, which makes it a bit harder for the other ships to know youre there. Try to position so you won't get broadsided by shells or torps... if you can, get lined up ready to exit,so you can just speed out. Ok this time a more serious reply. When I started hitting the higher tiers (7 and up) the game changed drastically. Firepower on ships went up and survivability also but not nearly as fast as damage out put! I discovered that I had better STUDY the ships.. analyze strengths and weaknesses. Different ships different tactics and maneuvers against them. I had to learn to optimize my commander buld and upgrades on ships. What was especially difficult was learning to NOT buff up ships ssystem theat were RNG dependent and instead put the time and effort into systems I could improve to telling effect. I'm an IJN DD expert these days and in the main tree I learned to STOP running smoke and run torpedo reload booster instead, which necessitated a major change in tactics. WIth out smoke you have to play more cautious. You must understand sighting mechanics and concealment mechanics. Most of all you must pay attention.. close attention. You've hit a plateau in your play. Be patient, you will work it through, but you do have some work ahead of you and some self imposed study hall time. DD's are a tough road.. and IJN DD"s likely the most difficult, but the reality is all of the DD tree's are difficult.. Your a small more or less agile hard to hit ship. But you have a tiny HP pool and any cruiser or BB with a little bit of luck can take our your full health DD with one salvo. I've done it and had it done to me. (though it's been a while since anyone has done it to me!) Your in a fragile ship with great big huge nasty teeth. Your in a fragile ship with great big huge nasty teeth. Somewhere there is a Monty Python meme that is crying out for attention. Makes me think of my HARE-kaze with it's 19 point commander. Torpedo reload, no smoke, RPF.. IFHE with the 100mm guns. Aye its cute, with a pretty little paint job and Japanese high school aged girls running all over it. But she's a wicked nasty bit of work in a fight. Definitely a rabbit with big muckng teeth. Nasty big vicious teeth, cut you to shreads boy. And fast . 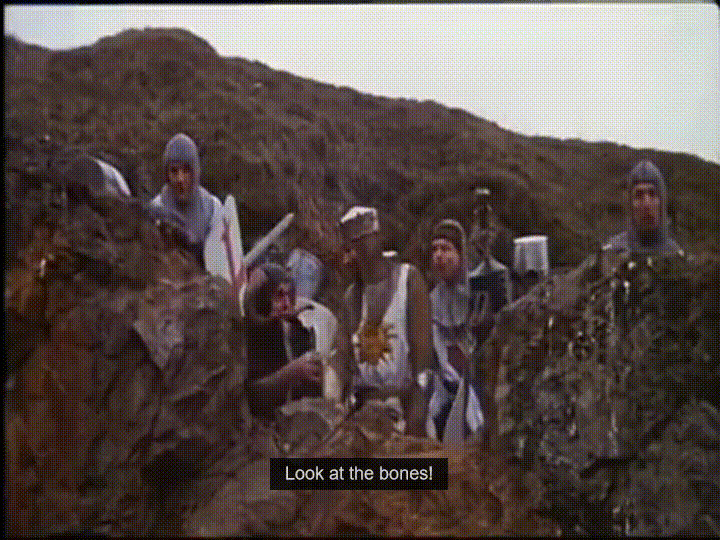 Many bones, Aye! Yea DD players we ARE the Vorpal Bunnies of World of Warships! Arolina say you can break even LOL please hun I just got done playing some this morning won every match was top of the list a few of the matches. and then i looked at my silver to see how much i made I was down to 752,000 when i started and lost 200,000 from all those wins so i say with all due respect you dont know what your talking about. Don't bother. Having any problem with radar just gets you labeled "DD Mafia" and wanting any balance adjustments to radar is interpreted by this forum as being the same as wanting 3 entire lines of cruisers completely deleted from the game. Probably because most idiotic little children who want 'adjustments' to radar want it either utterly gutted or removed, and even those like you who have something between your heads refuse to give proper suggestions on how to adjust it without it being an outright and heavy handed nerf to the USN cruisers. Because obeying LOS like every other non-aircraft-based vision tool breaks the mechanic completely? What tier is the DD? if it is above T7 and you can't get more than 55% win rate, just don't play it without premium. Also, never show your face without first knowing where exactly the freaking radar cruisers are. Keep a table of radar ranges open for quick reference during game and stay out of range. Eventually you'll learn what cruisers like to pop radar immediately after detection or what position a cruiser's moving towards will make him use radar. After knowing all that, it's just cat and mouse games with radar cruisers.